Sixteen players entered the World Championship this last weekend and after the dust settled, 4 players have punched their ticket to the Top 8 on Day 4 and 3 players have gone home. 9 players remain in limbo, waiting to fight for the remaining 4 slots in the top 8. This article is only going to be a quick summary of the events of Days 1 and 2, with a little bit of a prediction for the way the second Round Robin, on Day 3, will break. A more detailed analysis to follow after next weekend. More information about the format Worlds can be found here. More information about the Players at Worlds can be found here. The Decklists for worlds can be found here. The 1st Round Robin Bracket. There were a few big stories of the first Round Robin. The first was Tobboo rushing out to a 4-0 start in matches with 8-0 in games. He gave up a game in the 5th round, then finally lost a match in round 6 to Sunyveil. He almost flubbed the landing, but made it safely into Day 4 off that strong start. The second was Rhino sitting at 0-3. He was scheduled to be the Round 4 feature match, and he was a touch reluctant to be on the broadcast, as he expected the matchup vs Combrei Party to be an unfavorable matchup for him, but it was the start of a rally. Rhino ended Day 1 at 6-3, looking favored going into Day 2. Unfortunately, Rhino only managed to split the remainder of his matches and lost out on Top 4 on tiebreakers. A quick explanation of Tiebreakers: We use Head to Head tiebreakers. Tobboo beat both Sarius and SirRhino and Sarius beat SirRhino, giving a fairly easy ordering of the 3 players at 9-6. Finally – camat0 further proved his new deck that got him into the World Championships, after defeating Elunex in a tiebreaker for the last slot, last weekend. Topping the Round Robin is an impressive feat for a new deck. At the end of Day 2, the bottom 4 players played out a Single Elimination bracket, where only the winner advances to Day 3. Mouche rallied from an 0-9 Day 1 to put himself on the scoreboard at 2-13 by the end of the Round Robin, then put together the wins to survive into the second weekend. And unfortunately, we see LocoPojo, LoveUP, and KampfKrote leaving the event. These players were actually the top 3 from the Midseason Major, but all 3 have also taken a hiatus from ETS play since then. The following shows all the players and their head-to-head matchup. The following charts are meant to be read vertically, eg. AngryChicken beat Unearthly 2-1. I know this isn’t the standard, but that’s how the original chart was made. Thank you to Buckwheat for the charts, and hopefully catch him updating them in #tournament-chat in the Eternal Discord. Graphic created by Former #1 ladder player, current #1 graphic maker, Buckwheat. But that isn’t really very fair to Mouche, is it? He was obviously running poorly and managed to pull off enough of a rally to get to Day 3. Mouche was on Combrei Party style TJP Midrange, along with his two teammates, Sarius and Tobboo. So, what happens if we use the average results of all the Combrei Party decks? We get 4-4 Nightmare Hell. The tiebreakers have not been resolved in that listing. Let us never speak of this possibility again. But, then I had an idea – we had another deck that had a 90 card copy in the tournament, both LightsOutAce and SirRhino’s Xenan Control. What happens if we take out the results where they split in the first Round Robin? So, we get a less clearcut prediction set. One best of three isn’t a great predictor and there there were some upsets that are not likely to repeat – AngryChicken taking his series against childroland, for instance. I also feel like HiThar’s loss to Toth was an upset, as Praxis is usually considered soft to Big Combrei. I think AngryChicken might be the player that benefits most from the cut from 16 -> 9 for the second Round Robin, with a predicted 6-2 after an 8-7 initial showing. 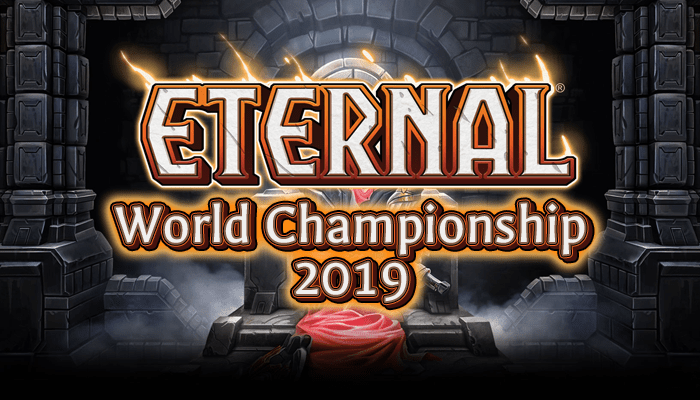 Three aggro decks, which Chicken went 1-2 against, have been removed – Pojo’s Hooru Flyers and KampfKrote’s Burn Queen are eliminated and Sunyveil’s Burn Queen has gone straight to Day 4. Further, 2 of the Combrei Party style TJP Midrange decks have also advanced to Day 4, and this deck blanked AngryChicken 0-3. If Chicken can repeat his wins against Xenan Control, and he went 2-0 against both players in the first Round Robin, and pick up 3 wins against the rest of the field, I think he’s a shoe-in for Top 8. IlyaK’s deck is probably the deck with the most volatility in the tournament, so seeing him go better than 2-6 in the second Round Robin would not surprise me. But hopefully Day 3 is full of upsets, because that will make things even more exciting to watch. I’m super hyped to watch Day 3 and see how this shakes out. Edit: There was discussion of the Day 4 Bracket, but we have changed the format of Day 4 slightly – Seeding will be randomized within the players that made Top 4 in the first Round Robin and within the players that made Top 4 in the second Round Robin. Come out and watch on Saturday morning on https://www.twitch.tv/arengeeeternal, with a preshow starting at 10 AM Eastern and tournament coverage starting at 11 AM Eastern! May your popcorn be ready and your favorite player win. Previous Post: Going Deep – Is Obrak Good?